How to post/share Tweets to Facebook automatically? 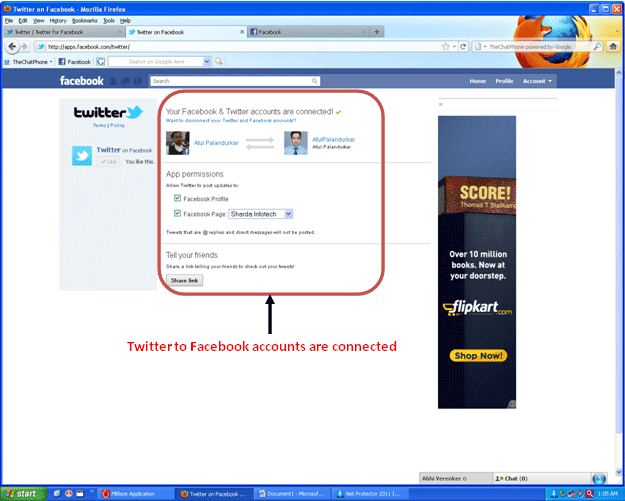 How to connect Twitter & Facebook accounts? 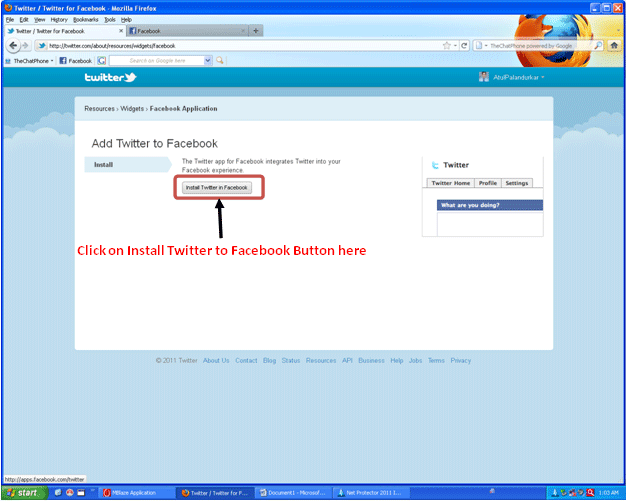 How to install Twitter to Facebook? Posting or sharing of your Tweets to Facebook automatically is very simple, you just need to follow certain steps as given below but before that you must have Twitter & Facebook accounts & must be logged in to do so. Click on to “Resources” link available in right panel on Twitter. 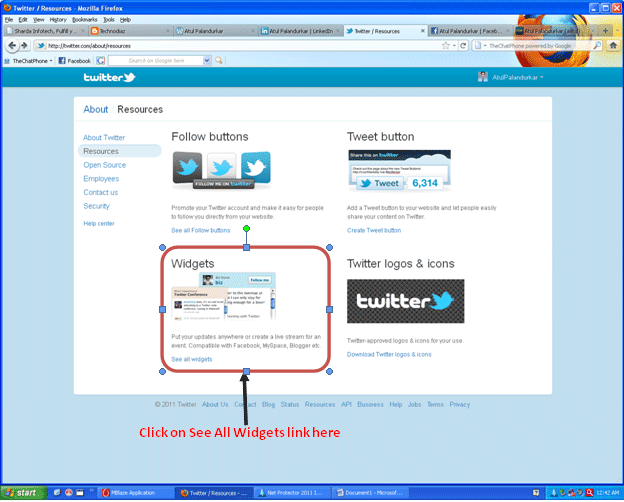 On Resources page, click on to “See all Widgets” link. 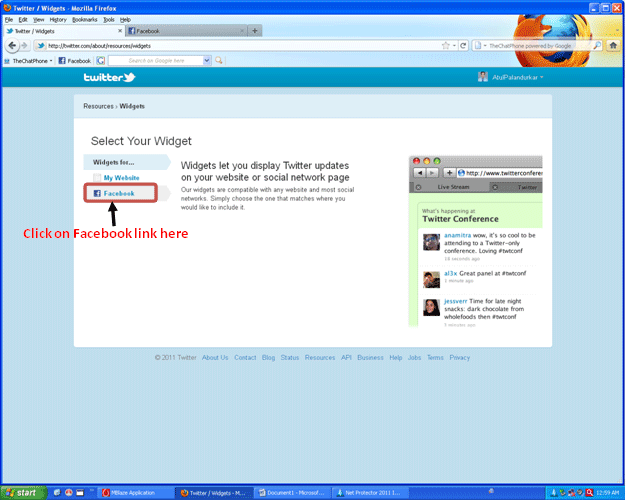 On Widgets page, click on to “Facebook” widget. Once you get the link for “Facebook Application”, click on it. 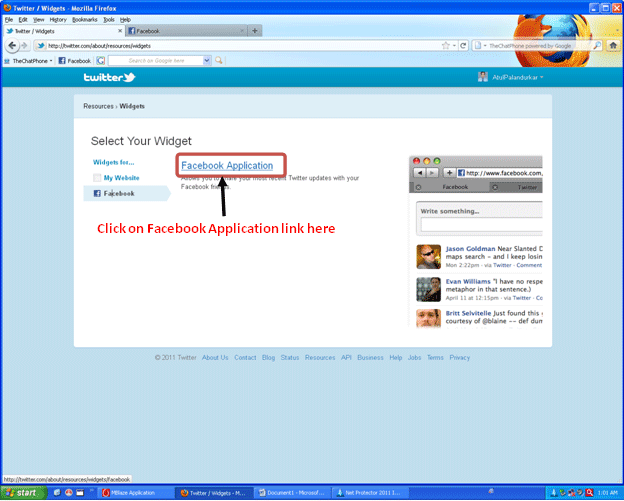 On Facebook Application page, click on “Install Twitter to Facebook” button. It will open a new tab/window & redirect you to facebook showing message “Your Facebook & Twitter accounts are connected” & will ask you to share tweets on your facebook profile, check it to do so. And it’s done! If you have created any page(s), then it will ask you to share the same to those pages too using the combobox having list of pages. 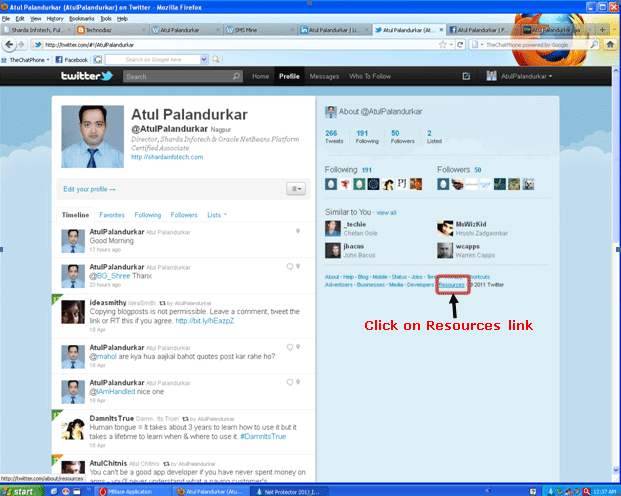 You can also share link, using “Share link” button on same page. Now your tweets will be posted to facebook automatically.